Just when we thought we couldn’t love the Fountains of Bellagio any more than we already did, they produced something so over-the-top last year that we couldn’t help but want their name tattooed on our hindquarters. If you’ve been having withdrawals, then I’m happy to report the powers that be heard our cries for more and are bringing back Kabuki for a second year. This year, they’re teaming up with Panasonic to once again blow our proverbial socks off (it is flip flop season, after all). 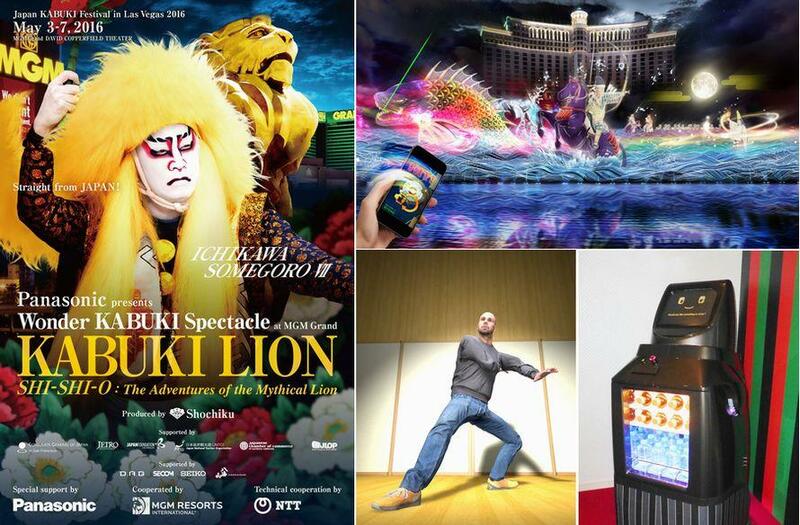 From April 29 to May 7, Las Vegas will be celebrating Golden Week with a live Kabuki festival to wow the masses. But first, let’s talk about the free stuff. For all of you that crammed in to see the Kabuki play on top of the Bellagio’s 8.5-acre lake last year, you’ll now have nine days to choose from. The aquatic shows can be seen each night at 8 p.m., 9 p.m., 10 p.m. and 11 p.m., so there’s really no need to stand on top of each other. Unless you want to, then by all means knock yourself out. Let’s also take a moment to praise the fact that it won’t be 185 degrees, like it was last year in August. The fountain’s twirling streams of water serve as a giant screen, with a total of 1,214 individual jets rocketing 460 feet into the air. Panasonic will use 13 digital projectors to create a 300-meter-wide screen depicting an ancient Samurai battle. Go big or go home, right? You don’t want to miss the rich and colorful images being projected onto the wall of water, especially because the Bellagio shells out mad dough for this. And BTW, you shell out nothing – because it’s free. Photo courtesy of MGM Grand. Six theatrical performances of “KABUKI LION Shi-Shi-O: The Adventures of the Mythical Lion” will be held at the David Copperfield Theater at the MGM Grand from May 3 through the May 7. 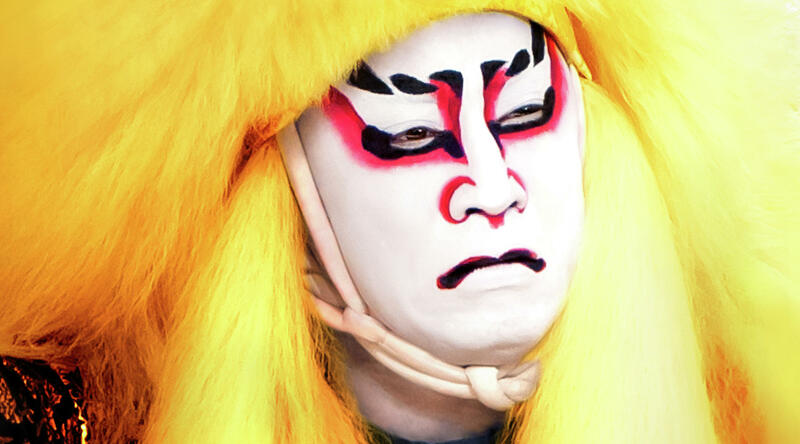 Ichikawa Somegoro, the planet’s biggest Kabuki heartthrob, will once again star in the production. Tickets start at $65 and can be purchased on the MGM Grand’s website. But before the show, you can do some pretty dope stuff while you wait in the lobby. The “3D KABUKI AVATAR” experience will allow guests to take 3D photos of themselves using 54 Panasonic LUMIX digital cameras and a 3D scanner. The image will then be used to transfer your mug onto your very own, original Kabuki figurine. (Move over G.I. Joe, I want to be a Samurai!) If action figures aren’t your thing, your avatar can become a Kabuki actor. Star in your own movie with dance moves so on point, you’d probably tear a groin muscle just thinking about it. Sorry JibJab, you were totally fun but this is a whole new level of awesome.